A shorter version of this post was originally featured on the Nature community blog 'Of Schemes and Memes'. Dorothy Annie Elizabeth Garrod. Public domain image. The archaeologist Dorothy Garrod was shy, retiring, and is not known to have advocated openly for women in science. An unusual candidate for an inspiring scientist, maybe, but Garrod's life is the embodiment of 'deeds, not words', and it’s impossible not to admire and be inspired by someone who simply got things done, seemingly never noticing the glass ceilings she cracked along the way. Garrod (main figure, standing) and a bear (held in arms). CC-BY-NC-ND 4.0 from the Garrod Photographic Archive held at the Pitt Rivers Museum, University of Oxford. In the first half of the 20th Century, she led excavations and directed predominantly female teams at the farthest reaches of Europe and the Levant, finding sites, fossils and artefacts key to understanding the development of humans in the Palaeolithic and the study of Palaeolithic archaeology as we know it today. This led to her election as the first female professor at Oxbridge, before women were even admitted as full members or allowed to graduate from Cambridge University. 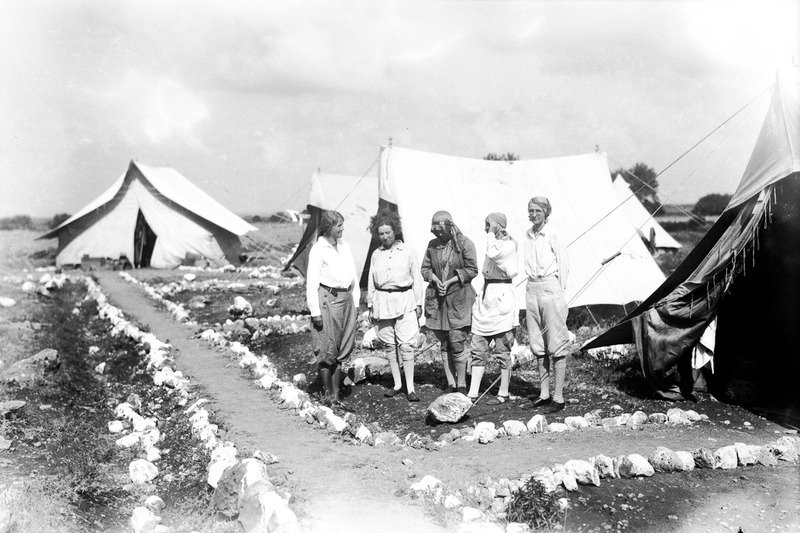 Dorothy Garrod with members of her first excavation party at the Mount Carmel caves, 1929. The three centre figures are Dorothy Garrod, Elinor Ewbank (Lady Margaret Hall, Oxford), and Mary Kitson Clark (Girton College, Cambridge), whilst the two women flanking are Dean Harriet M. Allyn (left) (Mount Holyoke College) and Dr Martha Hackett (right), who both represented the American School of Prehistoric Research. CC-BY-NC-ND 4.0 Garrod Photographic Collection held at the Pitt Rivers Museum, University of Oxford. Yet she didn’t set much store by her position, and repeatedly set it aside to focus on what she thought was most important: first, a leave of absence during World War II, putting her unparalleled first-hand knowledge of European and Levantine topography to use in interpreting aerial photographs as a section officer in the Women’s Auxiliary Air Force, and then ultimately resigning her professorship to concentrate full time on the research she loved, but which she felt she had neglected due to administrative duties. Garrod’s concern was for the work at hand, rather than her feminist footprint, but by breaking new ground in all senses of the term, she has inspired and fostered generations of researchers, both male and female. One of her legacies is in the form of Cambridge University's Dorothy Garrod Memorial Trust Fund which assists young archaeologists to carry out fieldwork abroad: I can still remember having an envelope full of unmarked bills thrust into my hand on behalf of the Garrod fund, accompanied by sage advice from another leading female archaeologist, so I could buy a tent for my first expedition to Lesotho. This fieldwork formed the beginning of my PhD work in southern African archaeology - thanks, Professor Garrod. You can read more about Garrod in Pamela Jane Smith's work - A Splendid Idiosyncrasy, published by Archaeopress, or in this short page from Cambridge's McDonald Institute, also by PJS. Luíseach joined Nature Plants as a locum editor in early 2016, before joining Nature Ecology and Evolution later that year. 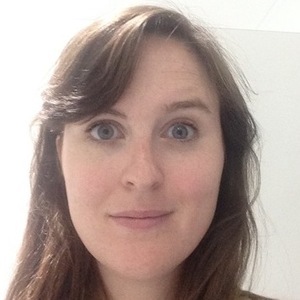 After a degree in Archaeology and Anthropology at Cambridge, she studied Palaeolithic Archaeology and Palaeoanthropology at University College London, followed by a DPhil studying hunter-gatherer archaeo-ethnobotany and stone tools from southern Africa at the University of Oxford, supervised by Peter Mitchell. Her primary interests include hominid evolution and ecology, human-plant interactions, heritage and conservation. Other interests include cats and food security (not least her own).